I had the pleasure of kicking off the NaPiBoWriWee event hosted by Paula Yoo on Wednesday with my post: 7 Simple Steps to Write 7 Picture Books in 7 Days. 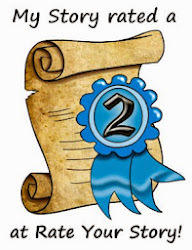 Stop on over to have a laugh and join in the challenge to write 7 drafts in a week! On the downside this week, I had the misfortune of realizing my childhood memories wouldn't work in my writing because they are extinct. Lauri wrapped the telephone cord around her finger and listened to Zack's story about making the winning shot in the basketball game. All the loops of the cord were stretched straight as she sought one more inch of privacy. Unfortunately, she ran into her big sister who was tapping her watch. "I have to go," Lauri said. "You say bye first." "No you," Zack said. "No you," she giggled. Her sister pounded the receiver with a sneer. Click. This is a real telephone. Plus, do they even have to wait for a turn or do they just use their own cellphone? I suppose they don't even have 45 minute phone conversations while watching the Wonder Years with their boyfriend. Nah, they probably just text between tweets about American Idol picks. Can you spot the problems in this passage? Lauri hopped on her bike and rode to the library. She peddled so fast her pigtails flew in the wind. She wandered through the stacks, selected a few books, and brought them to the librarian to stamp. When she walked out the colors in the sky meant Mom would be serving dinner soon. b. Out on the streets alone?! c. The librarian stamped the book. Lauri's head still hurt from Johnny pulling her ponytail, but her heart hurt worse. She thought he liked her, but then why would he hurt her? She kicked harder on the swings leaving the sad thoughts behind her on the breeze. There are still swings, right? Boys are still immature, aren't they? And I know hearts still get broken. Maybe there are still a few timeless memories! Okay, fess up - what childhood memories of yours are irrevocably dated? Or if you're young, could you help me update these scenarios?! My daughter always complains having to physically press down the lock button on my older ('92) model car. I go back a ways. Our first TV was a black and white. The channel selector (0-9) was a dial you turned. We had three stations to choose from. Rewrites: "...her pigtails slapped her helmet in the wind." "...librarian to scan." Ha! 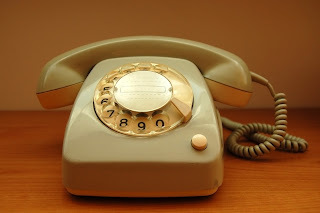 When speed dialing meant calling a number without a 9 or 0! We barely even punch in numbers anymore, just scroll down to the right contact and voila. I loved this trip down memory lane! Hilarious, but it's true! My son just encountered a video tape in "Rules," one of the books he was reading. The child kept pulling the ribbon out, so his big sister had to stick her fingers into the hole and wind it back in. Made perfect sense to me, but he was completely confused! Good one! There must be tons of dated mysteries with film being ripped or tapes with evidence being destroyed. I guess a little sister would just scratch a DVD to be malicious now. And the process of making a playlist for someone you love doesn't hold any of the same meaning as the physical process of spending hours making someone a mix tape. Great post! I know just what you mean. I remember our television with two dials--UHF and VHF, not that it mattered, we only had 3 networks and 2 PBS channels. Not a thing on the UHF side. The biggest problem as far as we were concerned was that dial; when you wanted to change the channel you had to walk over to the TV to do it. Unless, of course, you could coerce a younger sibling into doing it for you. I also can still recall when we got our first microwave. We were the first ones in our neighborhood to have one, and all the neighbors had to come over and see it. But the one that I have the fondest memories of is when VCR's first came out and we would reserve one at the rental store with a bunch of movies for the weekend. What a treat that was! Yes, you wouldn't write "I flipped through the channels but nothing was on, so I decided to talk a walk." It would be "I flipped through a few channels, checked the DVR and searched On Demand but couldn't focus on anything." My kids got 2 VCR tapes from a garage sale, and I swear they think they are magical because we have to watch them upstairs in the only room that still has a VCR! I saved all my pennies and looked forward to the bubblegum machine. Now they cost a quarter! Coins were great for those pay phones which are almost extinct! I actually found one recently in Lake Tahoe. And does anyone "roll down" their windows anymore? Funny! Why do we still say roll down the window then? Is it put down the window or just open the window? The girls saw pay phones the other day in the Jamaica airport, and they were fascinated. So what would that thing be today that makes you feel independent like being allowed to play records without scratching them and walk home from school? I would say using their iPhone, but who are we kidding - you've been using that since you were 2. Surfing the internet unattended? Walking to a neighbor's house? Being left to watch your sister? I think that's what I need to find - new ways to express those same emotions. Don't worry about any of this, Lauri. Just write "period pieces." Catherine, my 3 year old corrects me too! This is another post about how FAST kids are growing up. Seems like they experience the same emotions and situations, but a year earlier than I did.